Wow this car is fun! We like the 70 retro looks of this car. Both Mark and I remember the Shaker hoods the first time around. 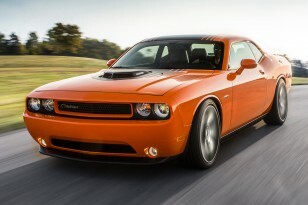 Dodge has done a great job of reproducing the looks. Oh, and the performance, what a hoot. Handling is super too as you’ll see when Mark and I took it for a spin at Road America. Hop in for a ride and make sure you buckle up!